Home security can be as simple as sounding an alarm that scares the perpetrator away or as complicated as automatically calling a security company who then responds to the call. Wireless, battery operated systems give you many of these options along with the security of knowing they will work even if the power goes out, or if you aren't at home to monitor them. The home security market has many different wireless, battery-operated home security systems available. Options range from cameras that will allow you to see what's going on at your home even when you aren't there to alarms that will sound when specific areas are triggered such as doors, windows and driveways. The Dakota Alert Wireless Probe Driveway Alert immediately signals the moment a vehicle enters your driveway from as far as 500 feet away. Bury the probe at the end of your driveway or gate; the sound or vibration of a car entering the area will trigger the alarm to sound at your home. This is ideal for homeowners who live in rural areas and want to be alerted when someone enters their driveway before they pull up to the door. According to users, the system gets very few false triggers; large animals, bikes or people do not trigger the device. Set up is very simple and can be done in minutes by any homeowner. The system retails for around $200. The VueZone Home Monitoring System picks up a video feed of your home and sends you an email or text message along with a video clip if movement is detected at your house while you're away. The cameras install very quickly and the system is completely wireless so it can be set up anywhere. The system comes with one camera, but will support up to 15 if you want to cover all areas of your home at once. Customers like this system for its ease of installation and the small, inconspicuous camera size. All mobile apps that work with this system are free, so there are no additional expenses after the initial $130 price tag. 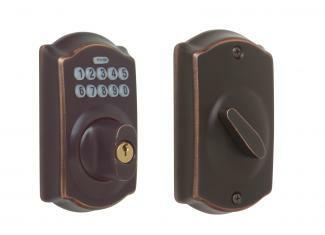 If you want to control who's entering your house and when, consider the Schlage Keypad Deadbolt Home Security Kit. This wireless, battery-operated home security system uses a digital keypad to lock your door. Set up key codes that work only at specific times for contractors or cleaning ladies, or get alerts sent via text or email when your kids unlock the door coming home from school. If you choose, you can also have this system wired into the rest of your home to automatically turn the lights on as soon as you enter your keycode at the door. 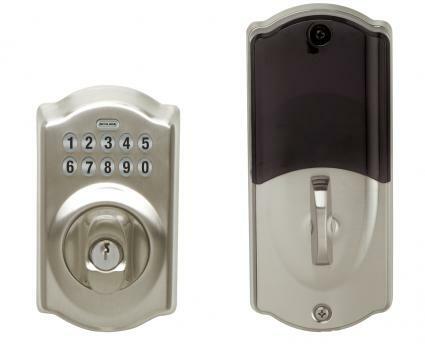 Consumers like it for its ease of installation, as well as the way you can set or change the codes on the lock from your computer. The system is priced at around $280, and you do need to subscribe to a monthly service plan to get all the options available. The GE 56789 SmartHome Wireless Window Alarm is an inexpensive way to get wireless alarms placed on any window or door of your house. 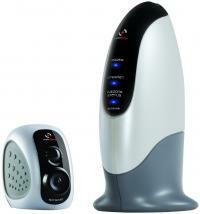 The system gives a loud chirp when a window or door is opened. 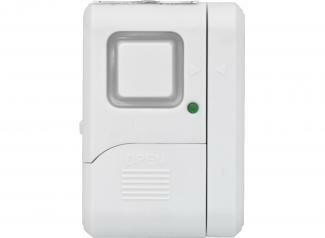 Ideal for letting parents know when kids are heading outside, this alarm provides extra security day or night in homes or in apartments where a full security system is cost prohibitive. Consumers like how loud the alarm is, as well as how fast and easy it is to install. Each alarm retails for less than $7. These easy-to-use wireless security systems offer peace of mind no matter what your needs are. Set them up all over your home, or just in specific areas; your home will be more secure for it.